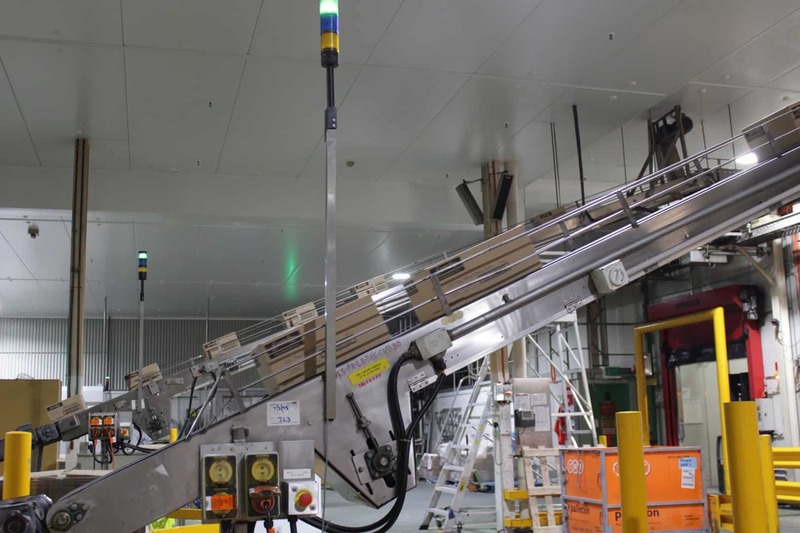 McMahon Services have ‘done it again’ as they sliced through the highly complex roof rectification project for McCain Foods Australia at their Lisarow facility in NSW. The McCain facility at Lisarow was designed and built by Austin Anderson (US Firm) in the early 1970’s as the first Sara Lee Factory in Australia. McCain recently acquired the Sara Lee facility, which has grown to exceed an 18,000m2 footprint during a number of small expansions. A third-party engineering assessment of the facility revealed the need for significant roofing rectification and McMahon Services was engaged to self-perform the complex contract over a 12 month period. Following an intensive tendering process, McMahon Services was awarded the complex contract to undertake remedial works of the ceiling and external roof structures. The detailed scope of works involved removal and replacement of 18,000m2 of roof structure, structural steel fabrication and erection, removal and replacement of 4,500m2 of insulated panel ceilings, installation of new fire services upgrade within the factory and mechanical extraction upgrades. This project was particularly testing for the team as it presented a combination of significant challenges. Firstly, the works were required to be undertaken in a fully operational food processing facility and required food grade standards to be upheld throughout the 12-month program. Secondly, the rectification works occurred in the ceiling and roof spaces above the food preparation environment below, presenting significant programming and sequencing challenges to ensure continuous food processing. The third key challenge was the unpredicted, high rainfall of the NSW Central Coast region. Demolition and building project within heritage listed walls.